Activ RallySport will head into the Make Smoking History Forest Rally full of confidence after recent successful testing of its four rally machines. 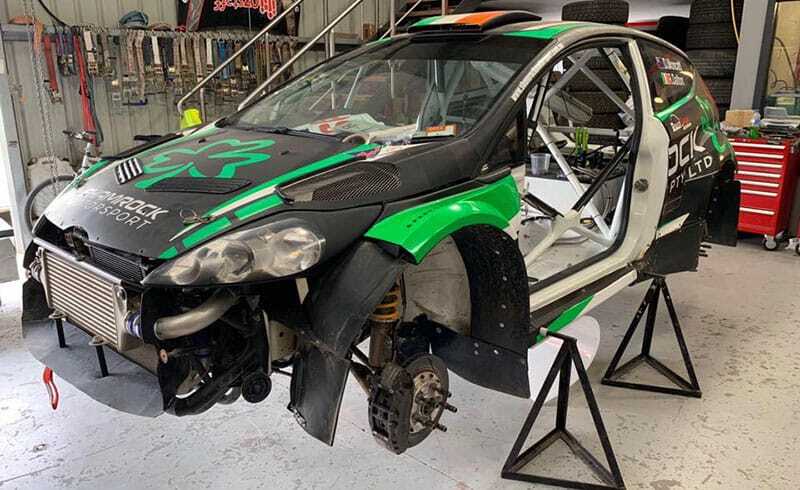 The team’s charge in the 2019 CAMS Australian Rally Championship (ARC) will consist of three G4 cars, one Subaru WRX and four talented drivers all of whom are poised for a solid outing in Western Australia. Behind the wheel of two of the G4s are Irishmen JJ Hatton and Richie Dalton, while Dowel’s son Troy has replaced him at the wheel of the third car after receiving the green light from doctors to compete this weekend. Rounding out the team is experienced campaigner Darren Windus who will be responsible for steering the WRX in 2019. Richie Dalton will drive his Ford Fiesta at the Forest Rally. With the team arming themselves with a crew of more than 30 members, team manager Justin Dowel was confident of a strong start to the 2019 season from all four drivers. “Testing was really good. Everyone had a good solid test and performed really well so we are feeling good.” Dowel said. “The crew have worked hard for three weeks straight preparing all the cars and getting everything the way it needs to be so all the drivers are really excited. “As there will be around 30 of us making the way over, logistically it’s a nightmare but I think it’s going to be worthwhile. 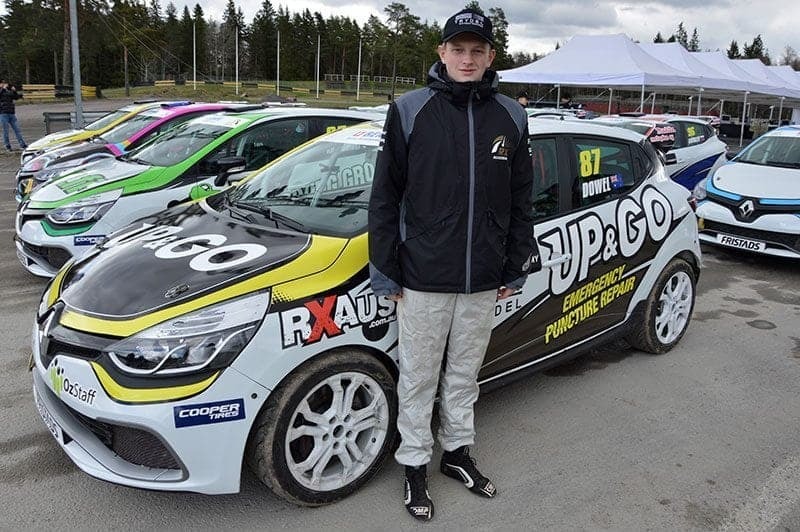 While Hatton, Windus and Dalton were all confirmed earlier this year to take part in the ARC, Troy was only recently included and confirmed into the seat after excelling during the team’s official testing. The main goal of the testing was to give some competitive kilometres to the drivers in their respective G4 cars and while Hatton and Troy completed the session with no issue, Dalton faced early problems which were later rectified. Troy Dowel will make a welcome return to the Australian Rally Championship this weekend. “At testing, we wanted to mainly test Troy’s ability in the car with his condition and his endurance, but he completed a solid 100km which is great,” Dalton explained. “JJ tested the Hyundai i20 for the first time and got up to speed with the car really quickly. He drove exceptional, didn’t put a scratch on it and was very fast all day. With all four drivers raring to go and a wealth of experience behind them, Dowel believes they have what it takes to challenge for a title, but the main goal this weekend will just be to finish the event. “I think both Richie and Darren will be fast enough to be in the top three and after JJ’s form on the Coffs Coast, they are all more than capable of being in the top five,” Howell added. “However at the end of the day, it’s about getting through the rally because it’s very tough to finish due to the fast and unforgiving roads. “All the drivers will be aiming to get through the event cleanly and finish as well as they can. Our instructions are to just finish the rally, learn the event and get good set of pace notes. The 2019 Make Smoking History Forest Rally takes place around the forests of Nannup on 5-7 April.